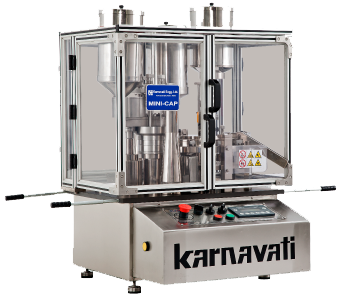 India’s first automatic bench top capsule filling machine for powder and pellet filling. 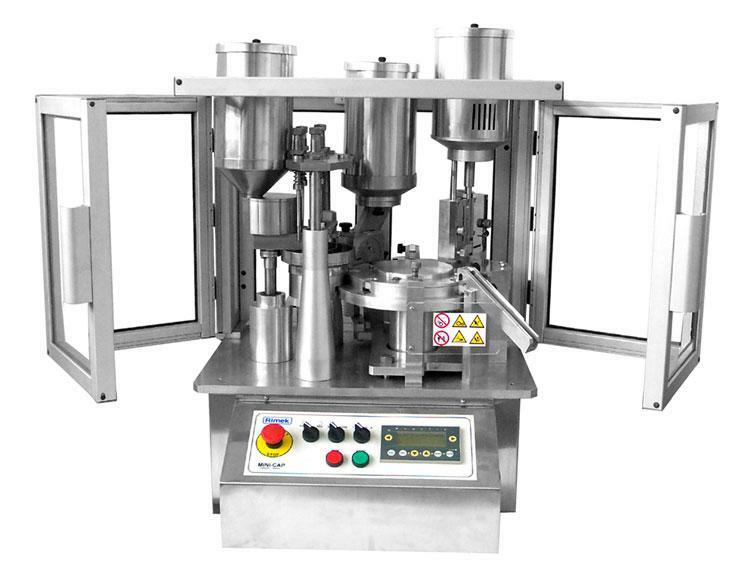 The machine has been designed to fill hard gelatin capsules and is incorporated with PLC controls and is designed as per GMP Norms. 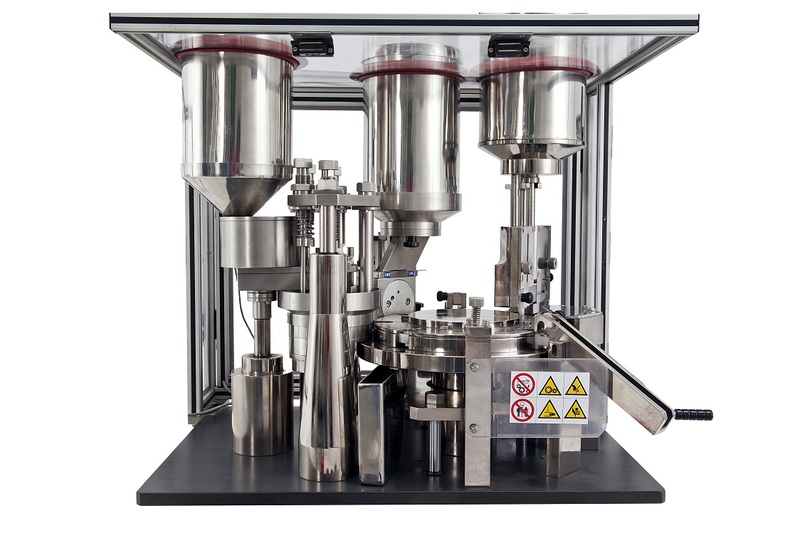 Thanks to its compact size and design, it’s easy to install the machine on any work bench. The work cycle is totally automatic and is controlled by a programmable logic controller.